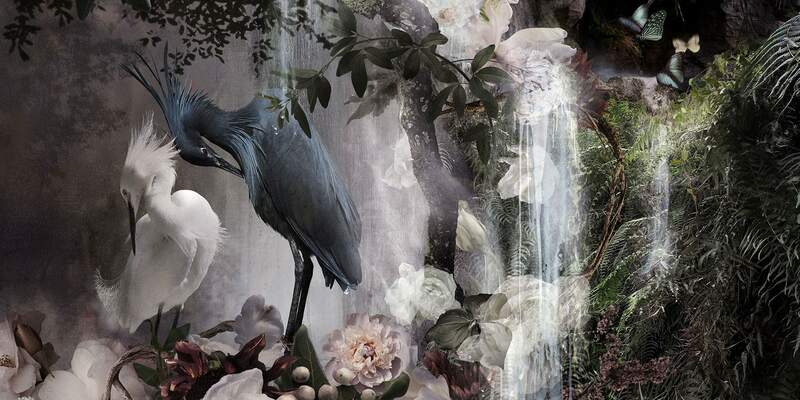 Ysabel LeMay lets her images guide her. I call my technique “hypercollage.” I painstakingly make a complex digital collage from individual pieces. 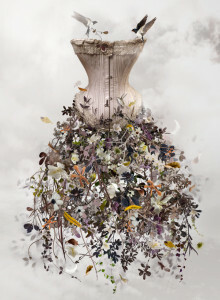 I create my work in three stages: I gather my raw photographic material, excise specific elements, and then arrange these elements in a final collage composition. I use my camera as a tool to collect resources, buy my works are born digitally. 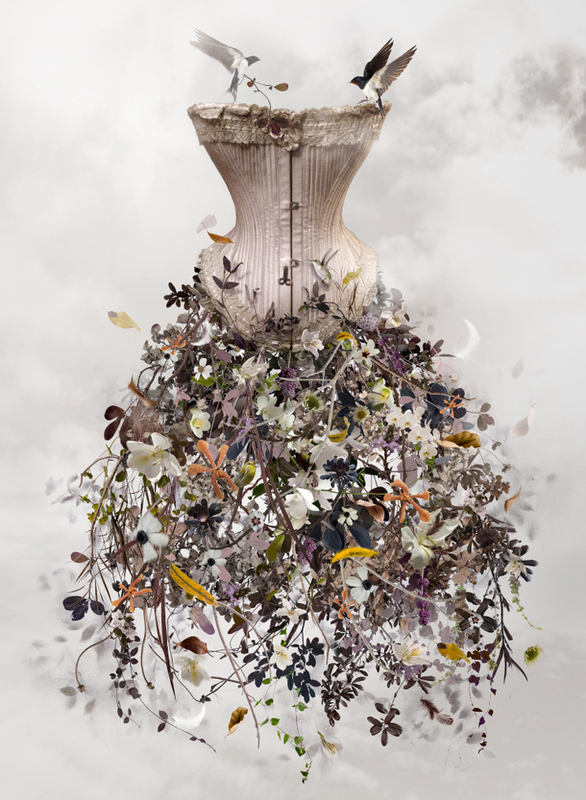 This image started with an antique corset I shot, and my ideas blossomed as I found myself wondering who it belonged to and what that woman’s soul was like. While I do play off my emotions and ideas when creating a new piece, it is the actual elements of my collages that inspire my vision. I chose light, angelic images for this piece to honor the liberation of the body and the spirit.